When the Mustang sparked the muscle craze in mid-1960s Chevrolet needed to provide an answer and do it quickly. The Corvair was definitely lacking and there was no time for serious development, but the Camaro, despite being somewhat rushed, was amazing. Its engines ranged from a 3.8 I6 to a 7.0 V8, it offered several transmission options, styling changes and comfort and performance additions and a huge number of special edition models, some of which are very rare. 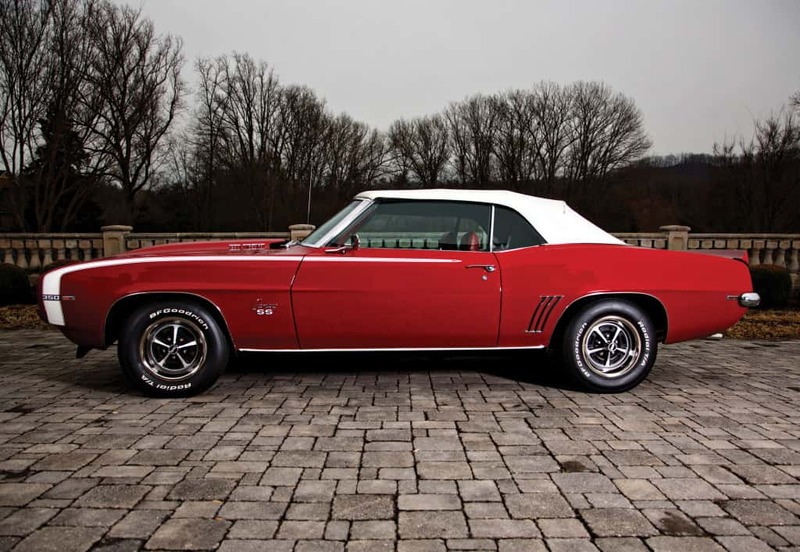 The second generation came in 1970, being even better initially, but due to more restrictive regulations of the 1970s all of the muscle cars were more timid later. The Camaro was Chevrolet’s response to the success of the Ford Mustang a few years earlier. Its production started in 1966 for the MY 1967 and it was presented to the press as a “small, vicious animal that eats Mustangs”. Not a very subtle hint. Understandably, it was a sports coupe or convertible with FR layout and powerful engines starting at 3.8 l I6 and going all the way up to 7 l V8. A true muscle car and an incredibly successful competitor for the Mustang which had already been a well-established product beloved by many and coveted by even more. 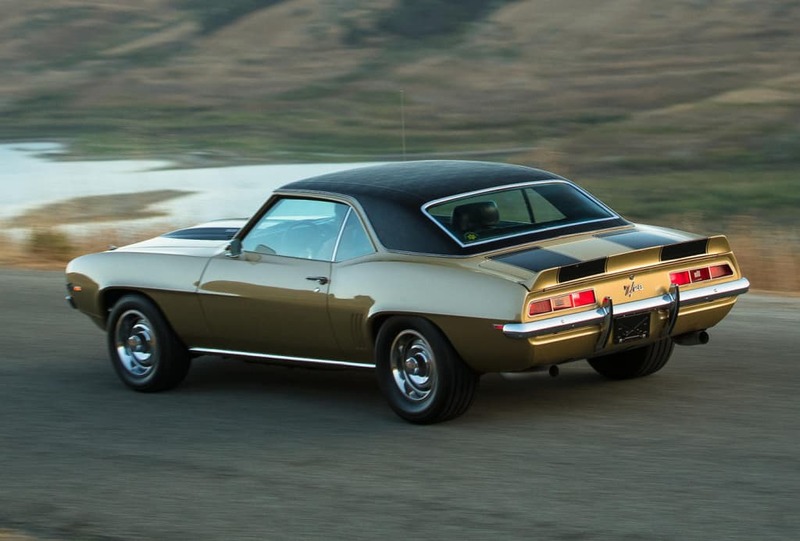 Chevrolet did have a sports car when the Camaro was announced in the form of the Corvair, but its cost cutting design and engineering solutions made it a fairly unsafe and especially so due to its RR layout. Even though the RR layout was (and still is) a massive success and a defining feature for the Porsche 911, for example, Corvair’s inferior suspension and other engineering solutions made is quirky, unreliable and unpredictable, unlike the 911 which provided unprecedented driving feel. 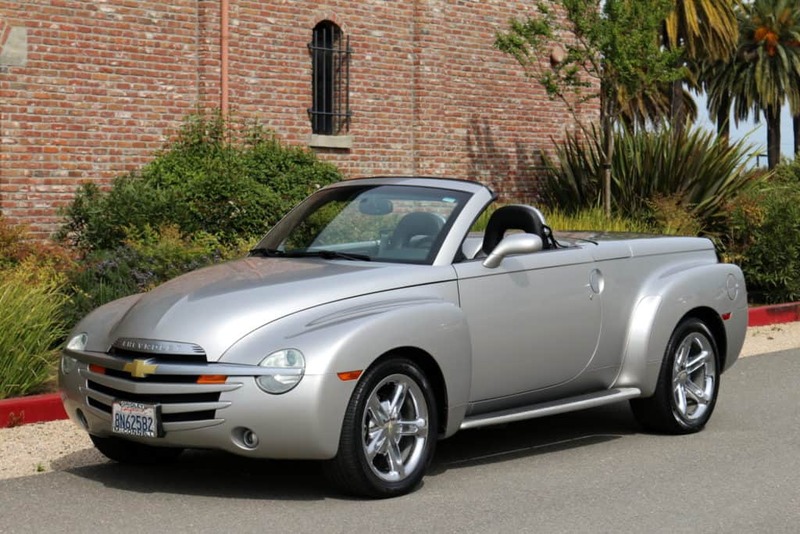 This is why Chevrolet needed a new car to compete with the Mustang and the Camaro was an instant hit. 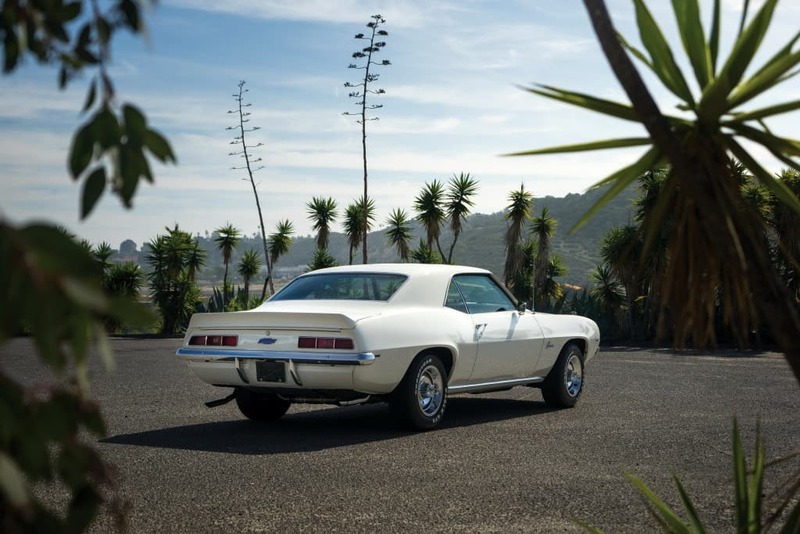 The first generation of the Camaro appeared in dealerships in 1966. It came on a completely new platform with two doors, no B pillar and aggressive and modern styling. The lowest powered version came with a 3.8 l I6 with 140 hp and a three-speed manual. Optional versions added up to 10 more engines and two-, or three-speed automatics and a four-speed manual. The three equipment packages came with lots of perks, but there were lots of other options that could make a particular Camaro truly unique. The RS package included mainly cosmetic additions such as the now famous covered headlights, lower backup lights, different taillights and such. It could adorn any version of the car, unlike the SS package. The SS package was a performance oriented option coming only with V8 engines displacing 5.7 l, or 6.5 l. The bigger engines required better chassis and suspension and dedicated badging. The very top was reserved for the Z/28. It came with a smaller 4.9 V8, but also with four-speed gearbox, power disc brakes and loads of other sporty perks that enabled the racing car to compete in the Trans-Am series – hence the smaller, but wonderfully powerful 290 hp engine. This was the official number, downgraded for insurance and racing regulations, while the real rating was at about 400 hp for the most powerful version. The 1968 model was very similar to the initial one, coming with slight design changes and adding a 350 hp 6.5 V8. 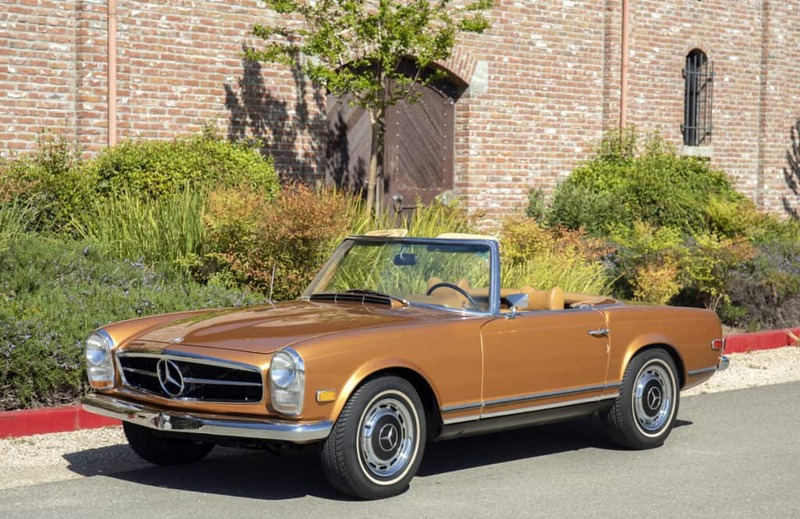 The 1969 model was sharper and sportier, being the most distinctive of the MK1 models and causing enduring debates over which version is better looking. Four-wheel discs became available for the SCCA Trans-Am racer which won that year’s Trans-Am championship. Moreover, in 1969 there were more than 1,000 special COPO 427 cars with a 7.0 l engine and between 425 and 500 hp. 1970 introduced the MK2 which was only available as a coupe. It looked pretty different from the front and was longer and wider than the MK1, but also lower. 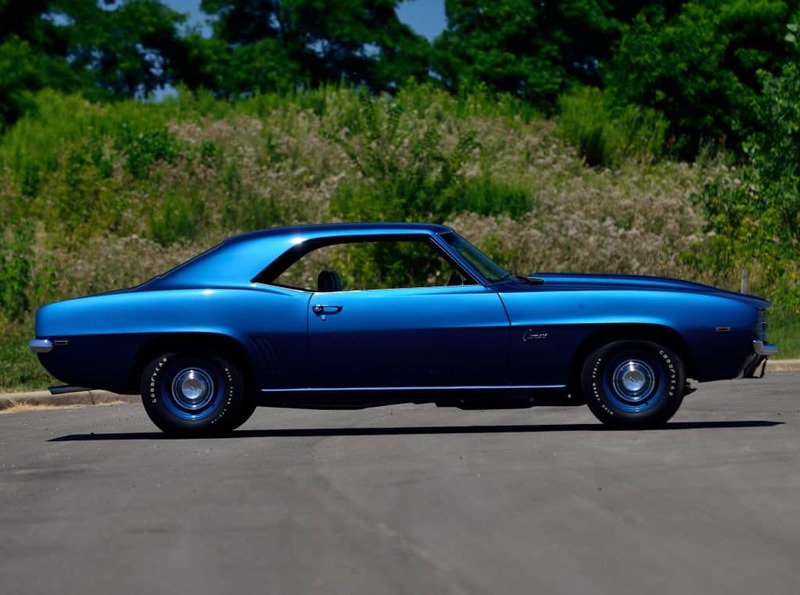 It was the result of several years of development and much larger funds, compared to the MK1, resulting in what Chevrolet called a lot more of a driver’s car. Just like with the MK1, the MK2 also featured several changes for every MY, but most of them were minor and cosmetic, aside from the 1974 and 1978 facelifts. The MK2 was sold rather well, beating all of the previous records, but with the new regulations of the mid-1970s and fuel crisis, muscle cars were losing much of their appeal. The Camaro was the one that endured the longest, the Barracuda and Challenger being discontinued and even the Mustang being downsized and downgraded. The MK2 Camaro was replaced by the MK3 in 1981. Due to their long production run, the MK1 and MK2 endured loads of changes, but all of the versions were generally capable and fun to drive. The manuals were sporty and precise, suspension straightforward and more comfortable and reliable in the MK2 and some versions went all the way up to 500 hp as track ready cars. If you were looking for screeching tires, loads of fun, controllable oversteer and cool sounds, the Camaro was one of the best options. The MK1 had a more angular interior with large separated dials and central console with additional instruments and a radio, while the MK2 was more driver-oriented with the instruments packed in front of the driver and the rest reserved for leather trim and glove box. The seats were comfortable and supportive and the finish was very good with leather, wood and even aluminum. The rear two seats were a lost smaller, but functional enough for transporting adults – much more so than in some other 2+2 cars, such as the Porsche 911. The MK2 had a lot better sound insulation, although many will welcome the feverish roars of the V8s in the cabin.